Some of life's most difficult challenges come with the biggest rewards. Caregiving falls into this category. While much talk on the subject centers around the demands of being a caregiver -- and this responsibility shouldn't be taken lightly; it is a monumental, life-changing decision -- data from researchers, as well as insights from caregivers themselves, reveals some unexpectedly positive outcomes. One of the most common upsides of caregiving is the opportunity to spend time with a cherished family member who needs you. This experience opens up unprecedented bonding opportunities, as well as the chance to share stories, get to know each other better and create new memories. If your relationship has been rocky in the past, this time together can be quite healing. And it's not just the relationship between the caregiver and care recipient that improves. Family members working together as collaborative family caregivers often grow closer in the process. Caregivers also form rewarding bonds with other caregivers they have met in support groups or through caregiving classes. Ultimately, we all find fulfillment in different ways, but as humans we can derive particular satisfaction in the experience of caring for a loved one during a time of need. Whether the motivation is purely out of love, or another emotion -- such as duty or compassion -- the emotional and spiritual takeaway remains deeply meaningful. It is easier to realize these benefits if you feel capable of the job, so look into caregiving classes and caregiver video training if you are feeling overwhelmed. Again, it's not just the relationship between the caregiver and care recipient that benefits. Many find that taking on the role of caregiver helps them be better role models for other family members, while setting an honorable example for children. While you may think that the caregiver/care recipient relationship goes only one way, research increasingly shows that the act of providing active care for someone else offers up lasting emotional rewards for the provider. In being present for a loved one in need, you create memories which overcome the immediate circumstances of the illness or injury. This allows you to have a more encompassing, holistic perspective of your relationship...as well as a critical sense of balance which might otherwise be missing. This sense of balance can also offer an enhanced understanding and helpful insights into planning ahead on your own future -- which, by the way -- may be brighter than you think, thanks to your caregiving role. According to a recent New York Times article, those who care for others may realize significant health benefits from the role, including stronger physical performance, enhanced memory, and even lower mortality rates. This evidence runs in stark contrast to prior research which focused only on the physical demands placed on caregivers. Ultimately, the decision to give yourself over to caregiving isn't an easy one; and certain costs can't be denied. But while "burden" may be the word used most often in discussions about caregivers, the word "gain" is becoming increasingly prevalent in these conversations. Even if it's impossible to see these benefits when you're in the trenches of caring for someone, the emotional, psychological, spiritual and physical rewards offer meaning, hope and lifelong fulfillment for many. mmLearn.org offers videos for caregivers of older adults. 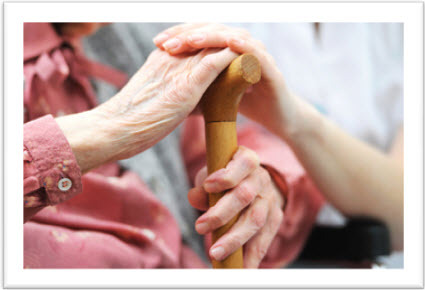 We have 300+ videos covering a broad range of topics relating to caring for older adults.